Now, India will have to defeat Bangladesh on Tuesday night to keep up with the winning momentum. If Indian side has to stay in its place or to rise to the top of the points table, then they can’t afford more mistakes. This fact must be known by the experienced players of the team very well. The home nation team got screwed at the end of the match by South Korea. However, it looked like India had control over the result of the game. 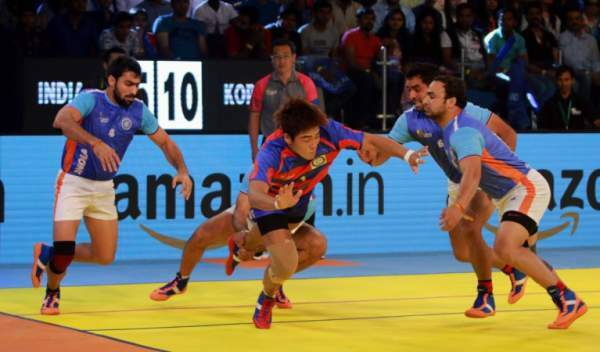 With each Kabaddi game being played, the game level has started increasing. Thus, India will have to keep their concentration levels steady and at the highest level to win every match. With the improved in their game, they defeated Australia in its second game this time. Now, they will have to keep up the winning momentum. Moreover, Bangladesh has landed here after a big win of 52-18 against England. But they have played just one game. So, on the record, they are the newer team of the two. India is still the favorites to win. Also, they have got to know that there are only a few easy matches in the Kabaddi WC now. The Indian team will have to take their defence seriously. It’s the major issue for them. Players have made mistakes at the high time which enabled their oppositions to take advantage of them. Being dominant is fine, but it shouldn’t come at the expense of the game. They will need to keep patience and not do anything silly will be an important part. If India plays to its full potential and doesn’t make any mistake, then they are the clear winner as per our prediction. There will be a massive crowd in Ahmedabad, so it will have to entertain the supporters and win the game. IND vs BAN starts at 9 pm IST (4.30pm BST, 11.30am ET). India: TV: Star Sports 2/HD, Star Sports 3/HD. Live streaming: Hotstar. UK: TV: Sky Sports. Live streaming: Watch Sky Sports. USA: TV: Fox Sports. Live Streaming: Fox Sports Go.